According to a report by The Korea Herald citing industry sources, the Samsung Galaxy S5 will launch with a bezel-free display. The Korean giant has reportedly been working on the technology since 2012. The yet to be revealed smartphone is also said to feature a fingerprint scanner – right in line with previous reports. The fingerprint reader is reportedly embedded in the display and will only be available at its bottom left and right sides. Screen panels with full support for fingerprint scanning are tipped for the second half of this year. Furthermore, the next generation Samsung Galaxy S will reportedly be even slimmer than its predecessor. The feat will be achieved via a new display panel technology which will replace the currently used four-layer setup featuring indium tin oxide. In addition to making the smartphone slimmer, the new display technology will bring improved energy efficiency and viewing accuracy. According to an image of Galaxy S5's alleged retail box, the phone's display will be a 5.25" unit with QHD (2,560 x 1,600 pixels) resolution. 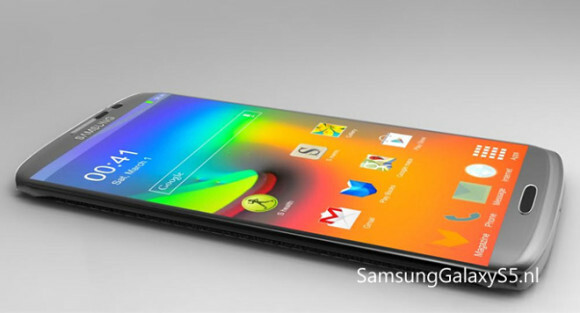 Samsung Galaxy S5 will be officially unveiled in less than two weeks, on February 24 in Barcelona. We will be there live, so be sure to tune in for the full scoop on the flagship. fingerprint scanner embedded in display - a bunch of crap, most likely on par with the other - bezel free display. When does OEM starts to produce a smartphone that battery could last in 2 days with normal usage having wifi is switched ON in full day. Take my device SGN3 with 10000mah Zerolemon battery. Bulkiness is not an issue for me.